Editor’s Note: The following are bonus photos from a profile of Janice Cooley and Paul Stedman’s garden featured in the May 2017 issue of Michigan Gardener. To read the full story, pick up a copy of Michigan Gardener in stores or read it in our digital edition, which can be accessed for free on our home page. 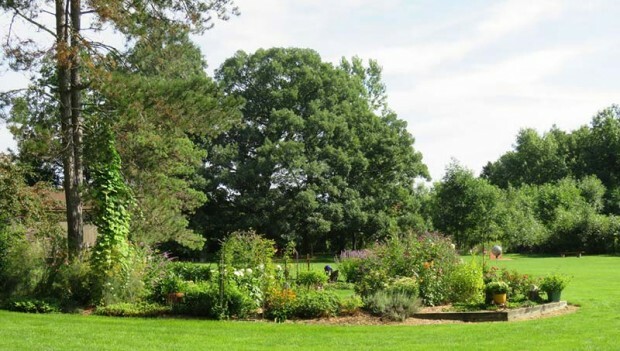 One of many garden beds in Janice and Paul’s landscape, with the huge, 200-year-old oak tree as a backdrop. 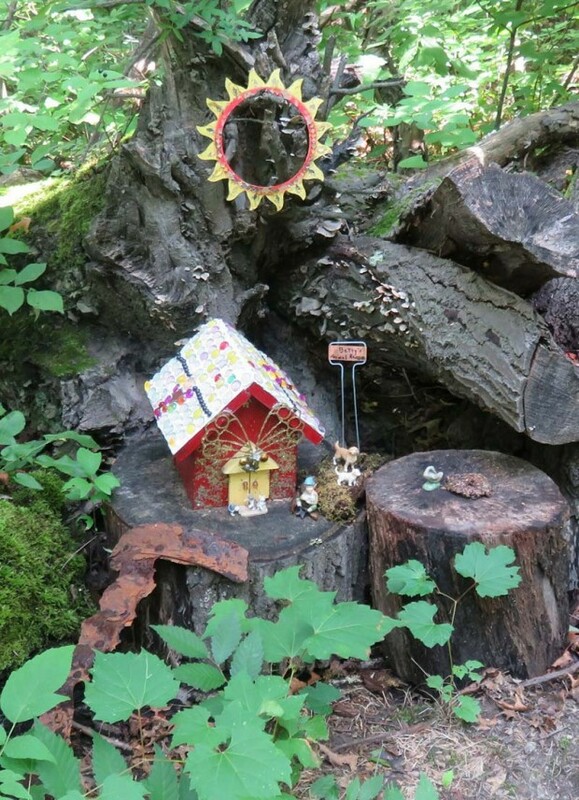 Many gnome homes line the woodland path. 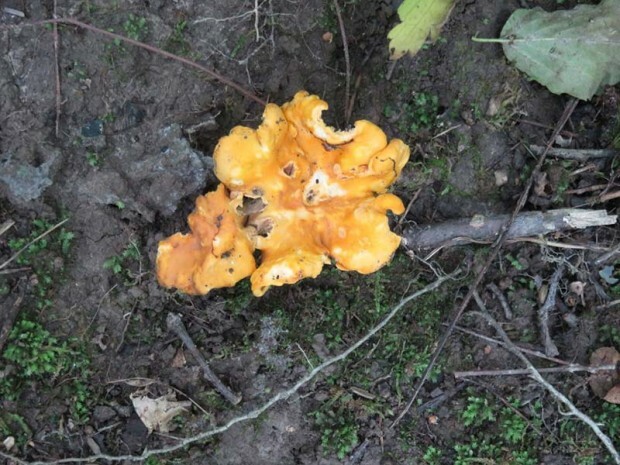 This yellow chanterelle mushroom will be used to make gravy for meatballs. 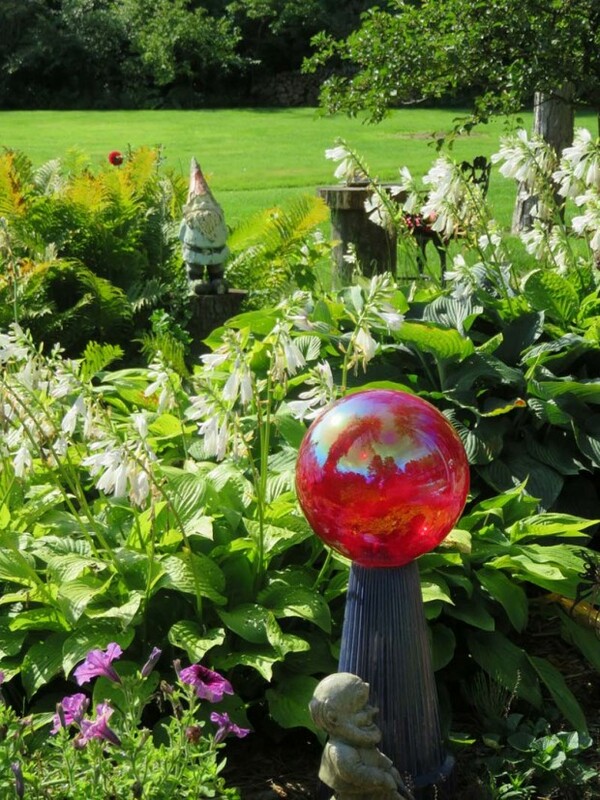 Garden art and gnomes make this garden fun and interesting. 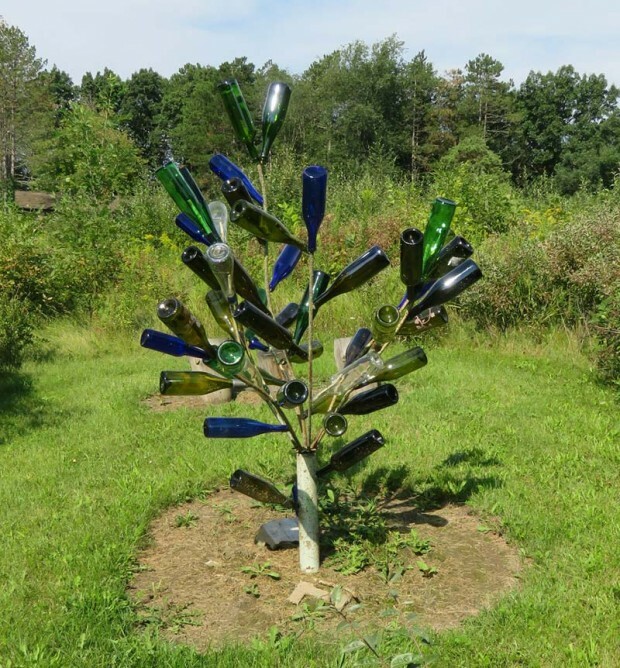 A large mowed labyrinth ends at this wine bottle tree. 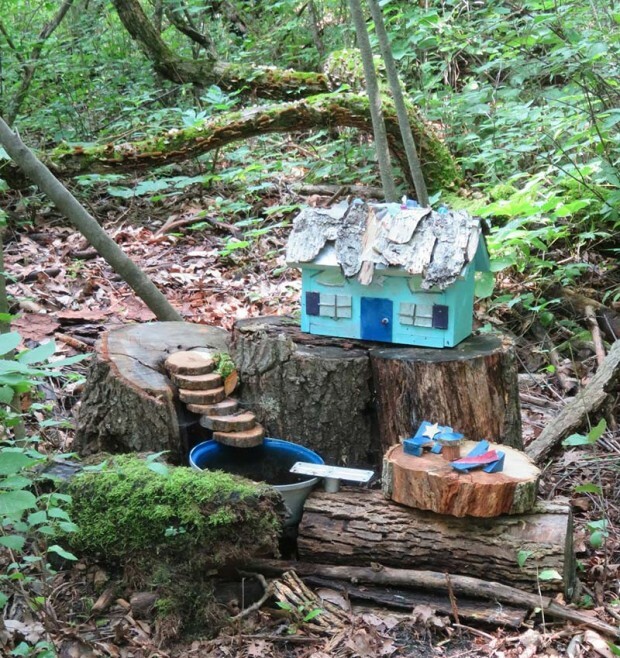 A gnome home complete with a pool and a place to lounge. 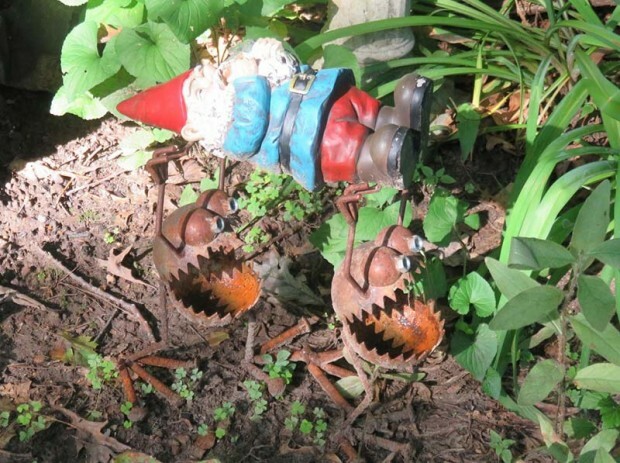 Janice adds a lot of fun and humor to her garden. 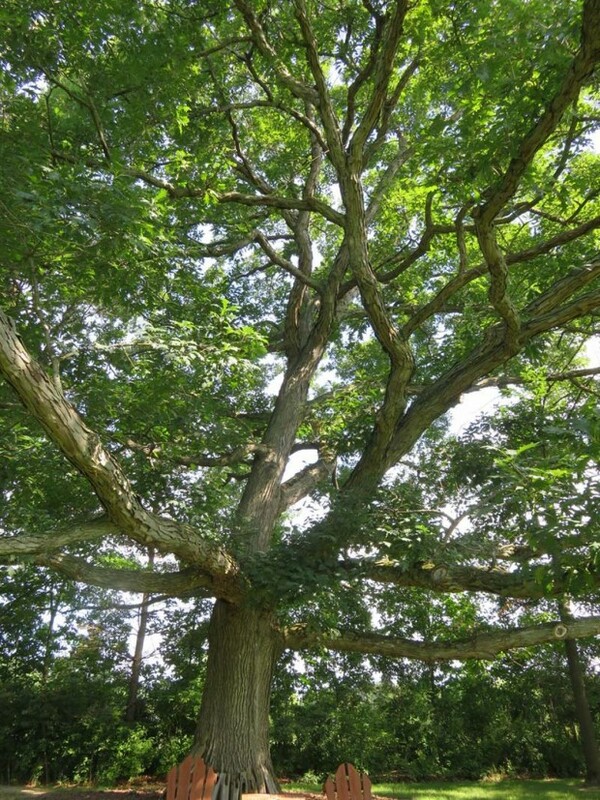 The view of the majestic oak tree from under the canopy.